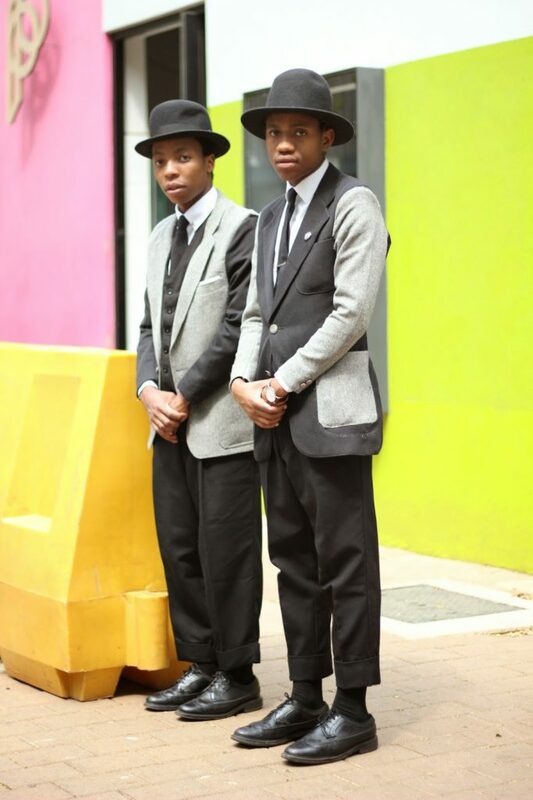 The Sartists are a couple of “sartorial-artists” from Johannesburg who have been enjoying significant visibility worldwide since appearing in a Coca-Cola commercial in 2013 and on the South African trendsetting page Flux. 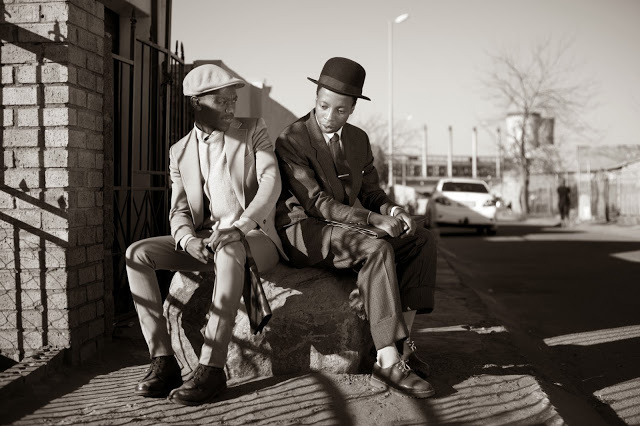 Their style mixes vintage and contemporary elements, in the fashion of gentleman revivalism made popular by Sam Lambert and Shaka Maidoh of Art Comes first. 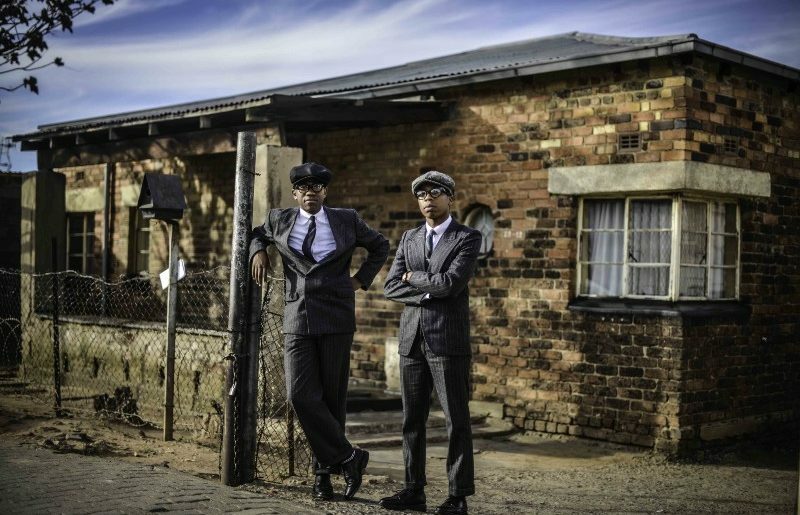 In their blog, the Sartists collect visual cues of a nostalgic reworking of classic black style as represented, most iconically, by the suit, the quintessential costume of black dignity and respectability. 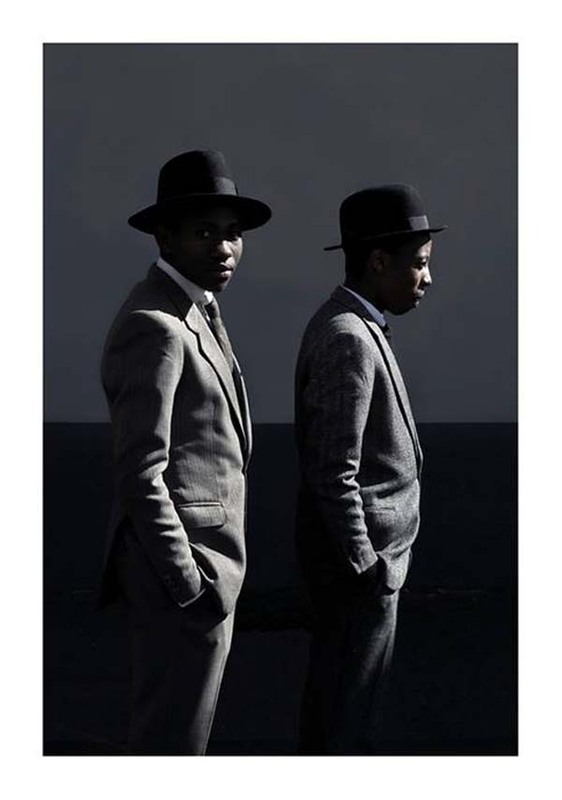 The same desire to disclose the unwritten history of African sartorial resistance through a nostalgic revival of 1950s urban style recurs in the words of Loux the Vintage Guru, another emerging star of African dandyism, who claims to wear vintage hats and ties out of respect for “the legendary era of [his] ancestors”. 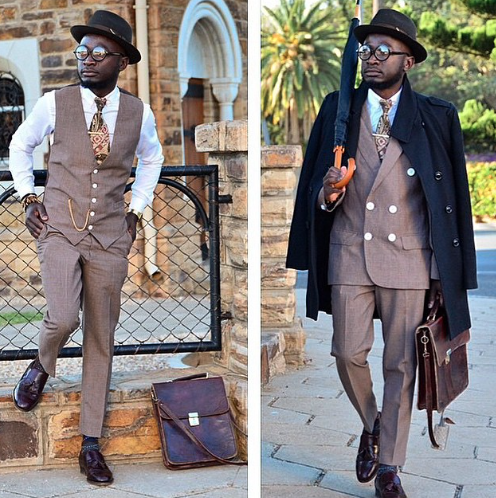 Since I began researching African dandyism, I have looked for cues of what distinguishes it from its British and North American incarnations and had trouble collecting them. 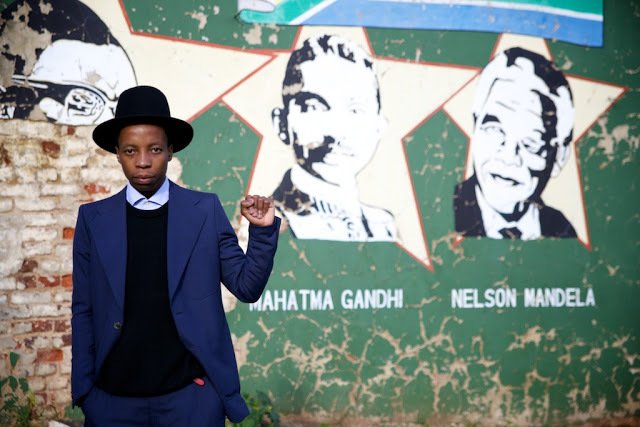 Sure these varieties have a lot in common, as Monica Miller shows in Slave to Fashion, most notably their affirmative goal, but there is also much more to unpack that makes stylists like The Sartists and the Vintage Guru profoundly and unmistakably African. I believe that their appropriation and reworking of the past, particularly the years of the late colonialism/early independence, could put me on the right track.